Cannes 2015 was a successful year for Joe Public, who returned home with three Canne’s Lions: a Bronze for Promo & Activation for ‘Vote SA’ Cinemark’s experience app, a Bronze for Outdoor for Lovers+ ‘Fine Line’ and a Bronze in the highly coveted Film Lion category, for Dialdirect’s ‘The Notebook’. “We are extremely proud to have been awarded across various categories, particularly given the calibre of work this year was both inspiring and challenging. Of course, to have walked away with an award in film is a highlight, as creatively it’s one of the highest honours. For Joe Public this is one ripple of Growth and is testament to what is yet to come from our people to help grow our brands and our country,” Marais concludes. 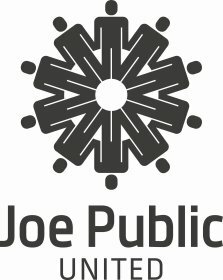 Joe Public’s purpose is to serve the growth of its clients, its people and ultimately its country and the company sees Cannes as the perfect platform to inspire greater and greater output. The insights gathered throughout the week are invaluable to the product of the agency and having the time to socialise with clients outside the everyday work environment is a cherry on top. We look forward to continued annual attendance at this fantastic global event.